Welcome to the mother-lode of ATF-related data on firearms in commerce! 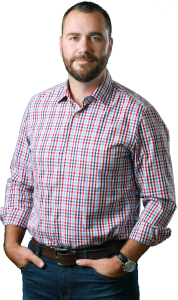 In this article, we’ll stick to the firearms in commerce information to keep the information manageable. 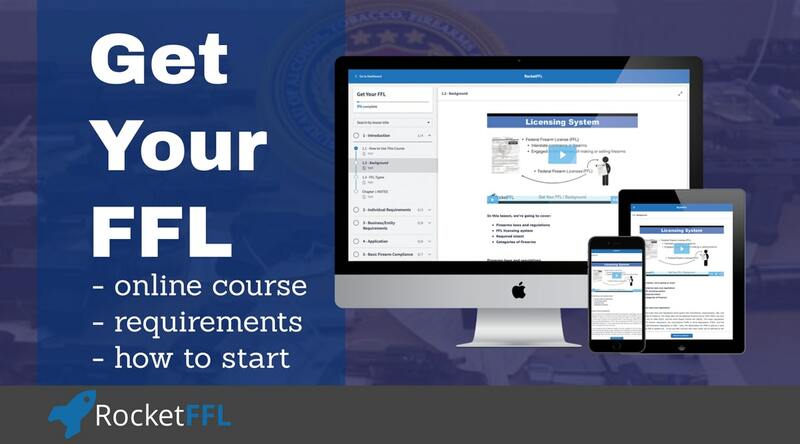 If you’re interested in the rest of the ATF data, check out our articles on NFA Firearms Statistics and FFL Applications and Inspections Statistics. The data on firearms in commerce is purposefully out-dated. 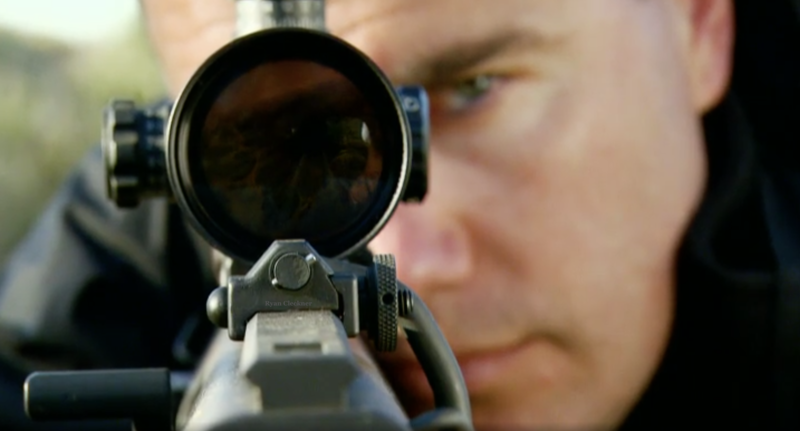 The ATF only releases information that is two years old in an effort to keep manufacturers from having a competitive advantage over one another. Although the most recent data published is from 2015, it is still useful to see trends in our industry. As you can see in the graph below, overall firearm production in 2015 is still lower than the record in 2013 but it has increased over 2014. I suspect that 2016 will also show an increase and then a decrease in 2017. The ATF’s report includes data back to 1986 but I’ve included five years worth of firearm manufacturing numbers for you below. In 2015, there were 9,358,661 firearms made in the United States. Of that total, 3,557,199 were pistols, 885,259 were revolvers, 3,691799 were rifles, 777,273 were shotguns, and 447,131 were “misc.” firearms. Miscellaneous firearms are any firearms not specifically categorized in any of the firearms categories defined on the ATF Form 5300.11 Annual Firearms Manufacturing and Exportation Report. (Examples of miscellaneous firearms would include pistol grip firearms, starter guns, and firearm frames and receivers. 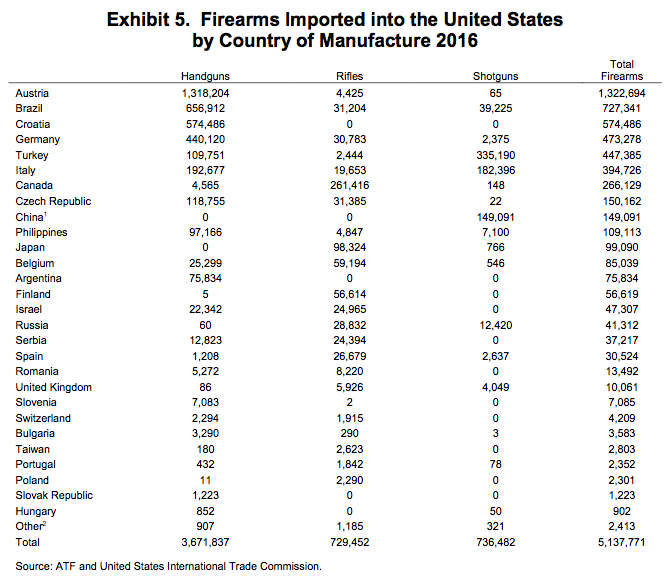 The information from the ATF on the exports of firearms does not give complete picture of the number of firearms exported from the United States. 1) this information comes from ATF Form 5300.11 Annual Firearms Manufacturing and Exportation Report (AFMER) which is only submitted to the ATF by manufacturer FFLs. 2) the ATF is not in charge of firearms exports. As you’ll learn in the Basic Firearm Compliance section of our Get Your FFL course, the U.S. State Department and the U.S. Department of Commerce oversee firearms exports and they will have the accurate data. In 2015, FFL Manufacturers reported that they exported 343,456 total firearms. Of that, 140,787 were pistols, 22,666 were revolvers, 159,707 were rifles, 18,797 were shotguns, and 1,499 were “misc.” firearms. 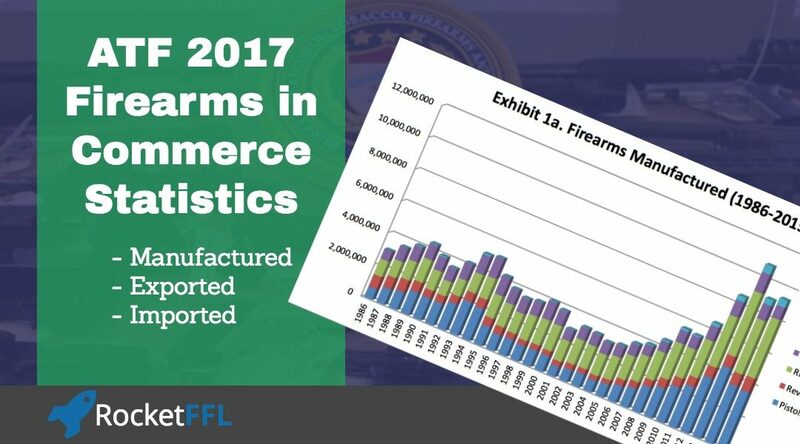 Unlike with exports, the ATF does oversee all firearms imports – therefore, this information will give a complete picture of how many guns we’re bringing into the country. Of course, I doubt that these figures account for the number of firearms the Obama administration smuggled out of the country to drug-dealers in Mexico and then allowed to come back into our country illegally resulting in the deaths of Americans during Operation Fast and Furious. It sure looks like we’re bringing in a lot of firearms! That’s great news for our industry as a whole, but bad news for our American manufacturers. 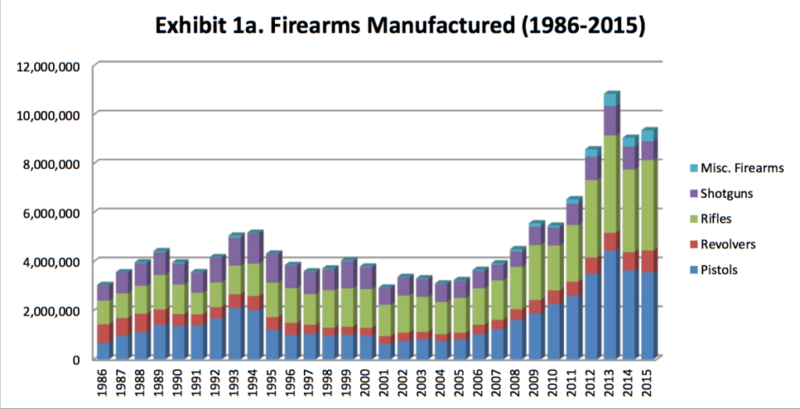 Note the big influx of imported firearms starting around 2009 when some of our major American firearms quality and design started to slip. In 2016, we imported 5,137,771 firearms! That number is HUGE! For comparison, remember that 9,358,661 firearms were manufactured in the most recent year on record (2015). The number of firearms imported in 2016 is OVER HALF of the number of firearms made in our country in 2015. 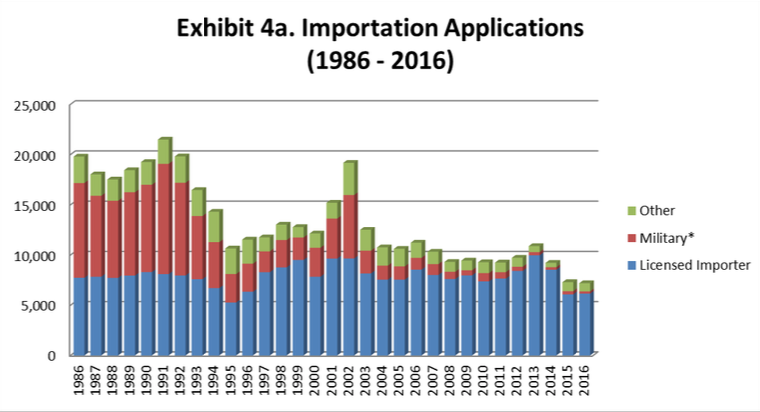 Interestingly (well, to me anyway), the number of import applications has decreased. The vast majority of firearms, 1,322,694 in 2016, are imported from Austria. I wonder why…cough…Glock…cough. In second place with nearly half as many firearms imported is Brazil with 727,341 (mostly Taurus) and third place is Croatia with 574,486 (this is where Springfield XD handguns come from). BATFE releases data once it is reasonably sure the data are accurate. Inevitably, some manufacturers are late with their reports. Thus, only by mid-to-end-2017, are the data for 2015 complete. While the Department of State has the last word on whether an export of firearms can take place, it is the manufacturer (with an exporter’s license), who actually ships the firearms. Therefore,a manufacturer’s report of its exports should be pin-point accurate.